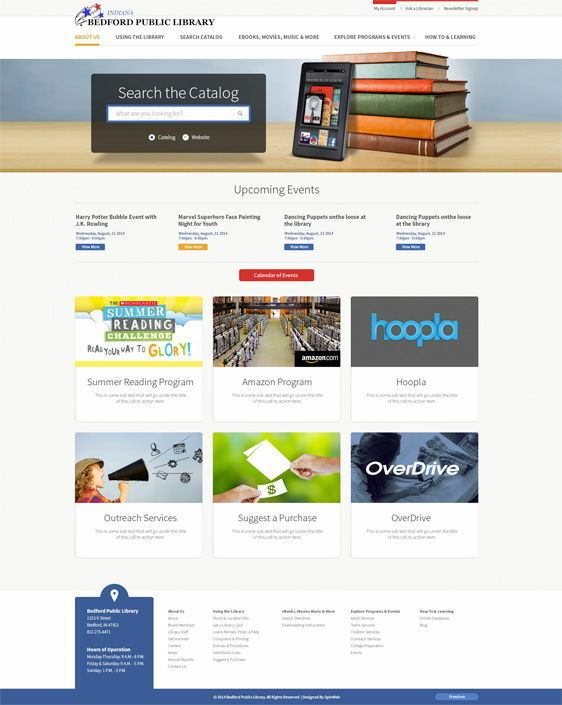 Library websites have their own unique set of challenges, but they all share one in particular: content. 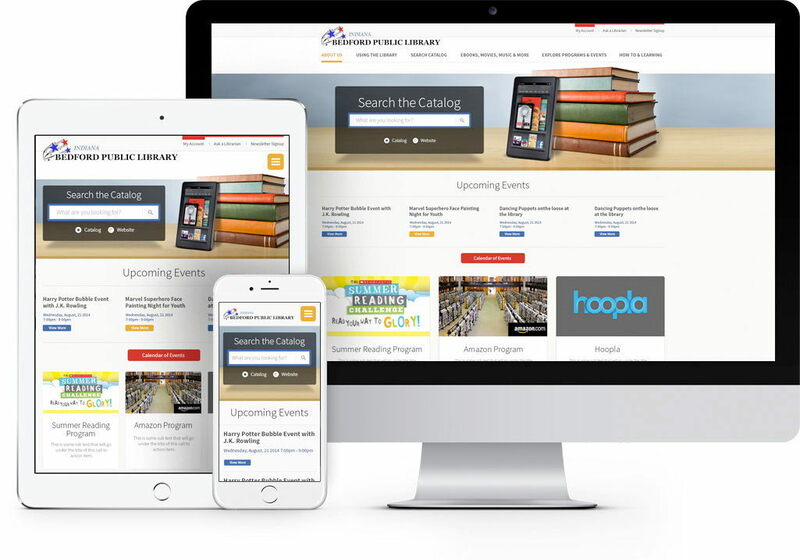 Bedford Public Library came to SpinWeb with a fairly old website in need of a fresh look, content organization, and a new set of digital tools that would help them connect with their patrons. Part of our process is creating a strategic sitemap that organizes the content in a way that is easy to navigate and makes sense for the user. We walked through the library's business practices and processes, and evaluated how to remove barriers and create a smooth experience for library patrons. The key was in our process and a desire to understand the library's needs. We used that knowledge to inform the design and to offer recommendations that would make employees and patrons' lives better. "This experience has been great! We have learned much from you and your colleagues [at SpinWeb]." 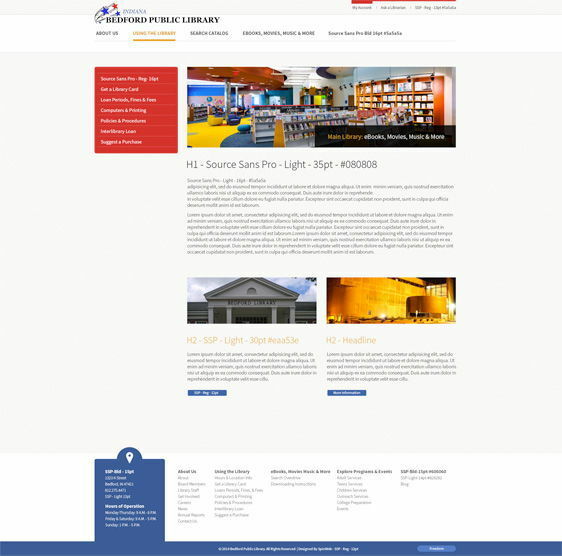 Bedford Public Library transformed their hard to manage, outdated website to a sleek, easy to update online presence.ce. "The process caused us to re-think nearly every policy and process we had in place. We have removed many of the barriers to those using our electronic products, now offer a digital-only card that may be used immediately, and have streamlined most policies and procedures. I had not anticipated that working on a new website would cause this much re-calibration. We are a better organization for having participated in this process."